Opportunity to see famous BBC studios which deliver natural history programmes. Dawn, Robin, Jade and Amber Repetto are staying with vet Aniket Sardana in Bristol. 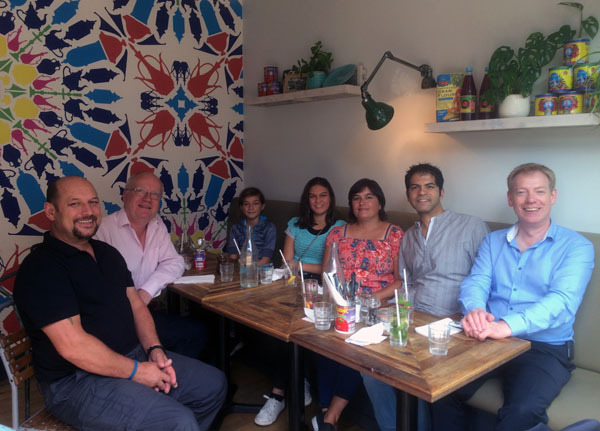 Chris Carnegy and his partner Roger Price met up with them for lunch on August 23rd. 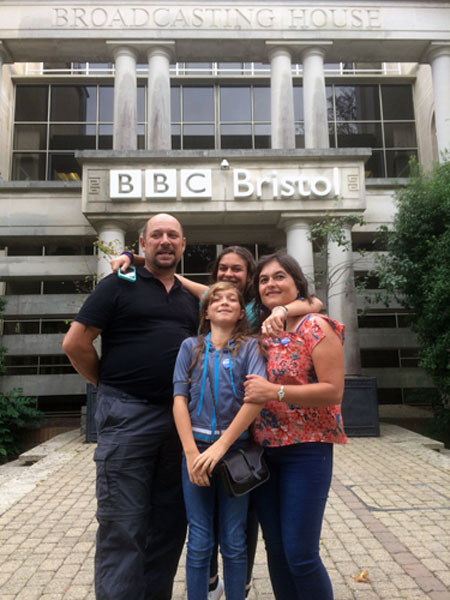 Roger is a BBC engineer and offered a visit to the Corporation's Bristol site, home of world-famous natural history shows as well as regional TV and radio. 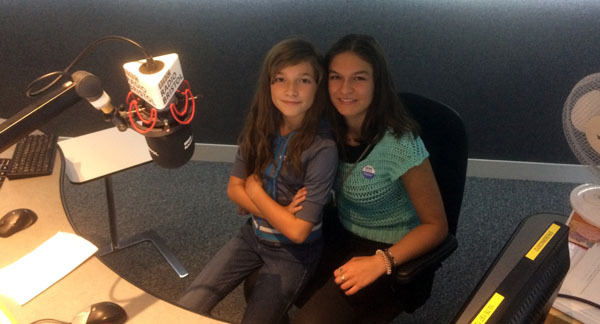 Jade and Amber looked quite at home in the presenters' chairs! 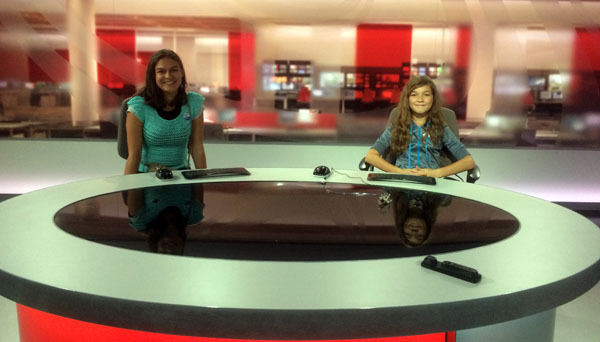 Jade and Amber Repetto look the part at the main BBC Points West news desk. Left to right, Robin, Chris, Amber, Jade, Dawn, Aniket and Roger.